Deandra Little directs the Center for the Advancement of Teaching and Learning and is associate professor of English. She teaches courses on US literature, memoir and autobiography, and has also taught in the Honors program. Her scholarship focuses on educational development in higher ed, scholarship of teaching and learning, and teaching with images. In 2015-16, Deandra served as president for the POD Network in Higher Education, the North American association for university teaching and learning centers. In 2011-2014, she was associate editor of the International Journal for Academic Development. Though happy to discuss most teaching and learning topics, she is particularly interested in course and assignment design, discussion leading, grading and feedback, and supporting faculty across their careers. Mary Jo Festle is professor of history and associate director of the Center for the Advancement of Teaching and Learning. Festle’s scholarship has been in U.S. women’s history, oral history, medical history, and social movements. While she enjoys discussing most issues related to teaching and learning, she is especially interested in inclusive classrooms, course design, disciplinary thinking, mentoring, and linking day-to-day class work to course goals. 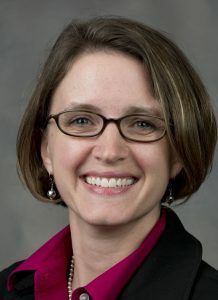 Festle received the university’s 2011 Daniels-Danieley Award for Excellence in Teaching, and she was named the Maude Sharpe Powell Professor of History in 2014. Kristina Meinking is associate professor of classical languages and interim associate director of the Center for the Advancement of Teaching and Learning. As a classicist and intellectual historian, Meinking’s disciplinary work centers on the evolving relationship between religion and politics in late fourth century CE North Africa. In her capacity as coordinator of the classical studies minor, she has mentored numerous students, developed the classics curriculum, and has taught several courses in Latin, ancient Greek, mythology, civilization, and reception. Although eager to talk all things teaching, Meinking is particularly interested in course design, questions of interdisciplinary, flipped classrooms, innovative pedagogies, self-paced learning, mastery learning, and the scholarship of teaching and learning. Chris Sulva is the Program Coordinator for the Center for the Advancement of Teaching and Learning and the Center for Engaged Learning. He graduated from Elon in 2015 with a Bachelor of Arts in English, and a minor in Communications. 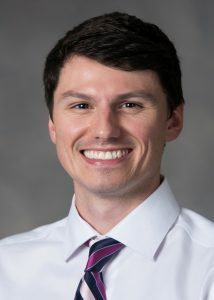 In 2017, he received a Master of Education degree from the University of Vermont, where he also held a job in Student Financial Services, and an internship with the Office of Student and Community Relations. At Elon, he worked at the Moseley Student Center, and was a Writing Center consultant. While he enjoys reading and writing, he has a particular interest in how they can be integrated across a curriculum and in different disciplines in education. See a list of previous CATL Directors & Associate Directors.